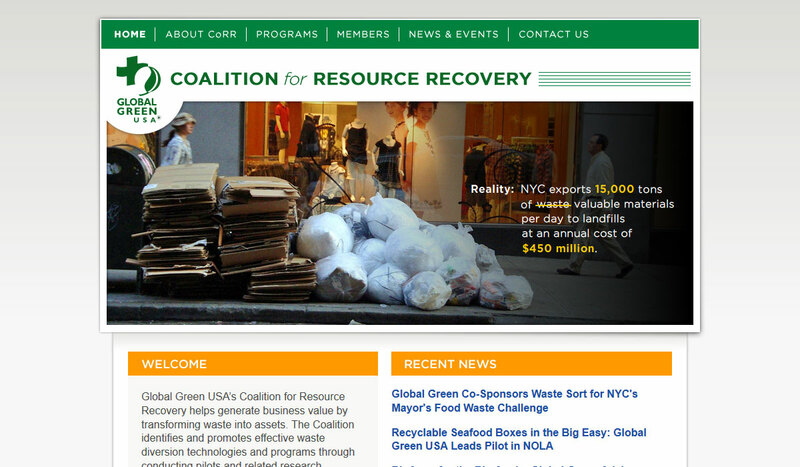 Global Green USA’s Coalition for Resource Recovery identifies and promotes effective waste diversion technologies and programs. 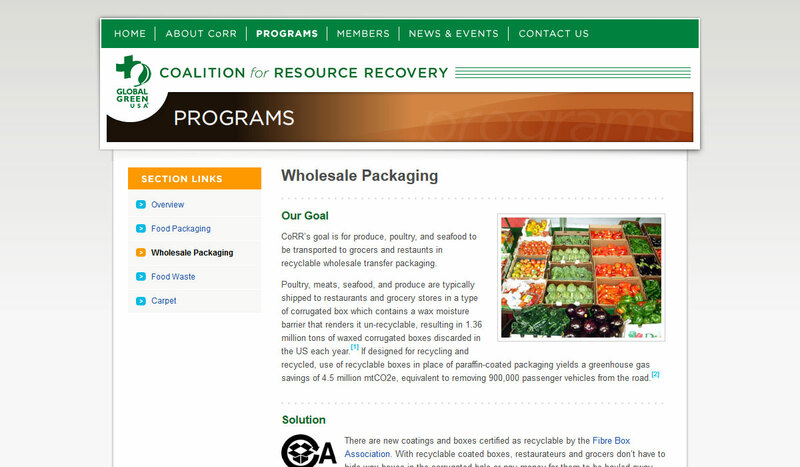 They asked us to create a site that showcases how businesses can increase their profits by transforming waste into assets. Sustainability can be good for the earth—and the bottom line. Copyright 2015-2019 , Breviloquent, LLC. All rights reserved.